Iran has stressed the peaceful nature of its space program, denying there is any connection between its satellite launches and the national missile defense program. 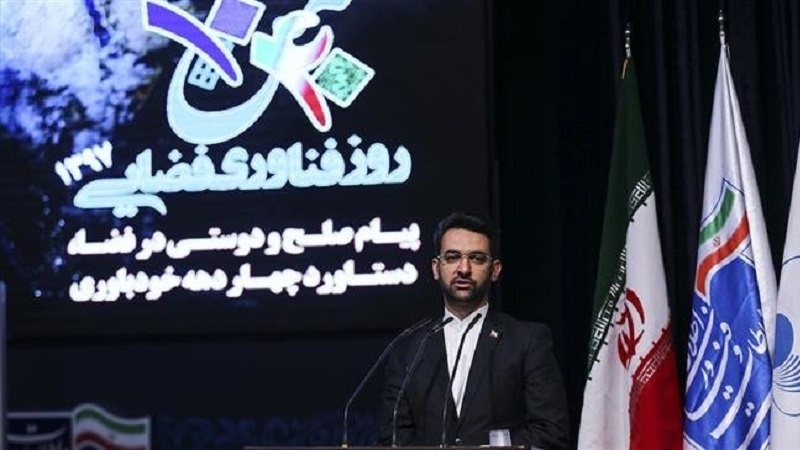 According to Press TV, the remarks by Minister of Information and Communications Technology Mohammad Javad Azari Jahromi came on the occasion of the National Space Technology Day. Addressing a ceremony in Tehran, Azari Jahromi dismissed the West attributing military aspects to Iran’s civil space program, including its satellite launches. The minister said two international organizations have monitored Iran’s space program and confirmed its peaceful nature. Iran’s space industry is facing US sanctions but the Islamic Republic has managed to overcome them by relying on domestic capabilities and capacities, Azari Jahromi said. The US, he said, is trying to disrupt the program, while Europeans are refusing to cooperate with Iran in the field. “Iran is seeking further cooperation with other countries within the framework of space diplomacy as the country pursues a peaceful space technology,” he added. Iran, Azari Jahromi said, is using space technology to improve the lives of its citizens and other people across the board. In this regard, the country regards sanctions not a threat, but and opportunity for development, he added. As an example, the minister cited the satellite Mesbah which Iran built in collaboration with Italy’s Carlo Gavazzi Space SpA in 1998 but which took more than 10 years to launch by Europe. Iran launched its first homemade satellite, Omid (Hope), in 2009. It also sent the first Iranian bio-capsule containing living creatures into space in February 2010, using a Kavoshgar (Explorer) carrier. In February 2015, Iran placed Fajr (Dawn) into orbit, which was capable of taking and transmitting high-quality photos. Last month, the country launched Payam (Message) into space at an altitude of 500 kilometers (310 miles) for imaging and communications purposes. According to officials, the satellite performed without fault but the rocket which was carrying it did not reach enough speed in the third stage, falling short of putting Payam into orbit. Within the next three years, Iran will build a new generation of satellites with an accuracy 40 times higher than that of Payam, he added.